Home / News / Whatsapp blocked in Brazil…. again! Whatsapp blocked in Brazil…. again! Brazil and Whatsapp have had a difficult relationship over the past few years with a handful of instances of the service becoming unavailable. Yesterday the service was again blocked nationwide across Brazil without warning making it the third time the service has been disrupted in the South American country in less than 8 months. Like on previous occasions, Whatsapp found itself blocked after the company behind the communication app fell foul of a request for information in a criminal case. The result was as expected and millions of Brazilians were again left without Whatsapp access. With an estimated 100 million Whatsapp users in Brazil it makes it one of the most popular messaging apps across the country. 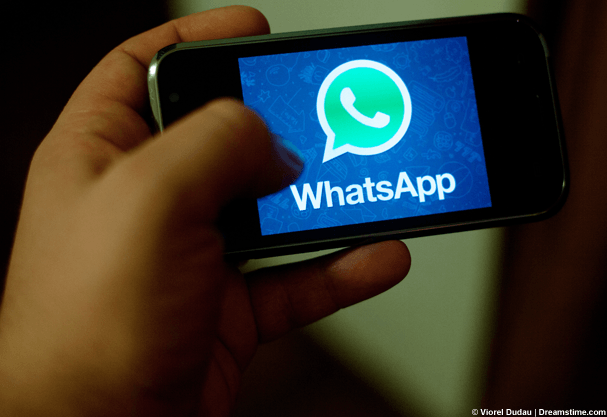 As has been the case in many of the previous Whatsapp blocks across Brazil within hours it was overturned with Supreme Court judge Ricardo Lewandowski claiming it was disproportionate to the situation. Reports suggest that the block was only in effect for a few hours but Brazilian users were rightly angry about the situation and with it becoming a recurring theme many are moving to methods to circumvent such blocks to ensure that access can be retained at all times. WhatsApp CEO Jan Koum vented his frustration in a Facebook post shocked that only two months after Brazilian lawmakers rejected such blocks that the service finds itself in the same position as previously. Partly as a response Brazillian VPN use is on the increase. A VPN allows users in Brazil to access services that are blocked within the country including Whatsapp and access a free and unrestricted internet. With VPN services costing less than US$10 per month and Brazil’s economy booming it is a cost that many users are happy to meet to ensure they can stay connected without interruption. We wrote an article on how to access Whatsapp in Brazil as recently as December 2015 in response to the continued blocks and users are advised to follow it should they wish to avoid future blocks. Whatsapp recently became one of the first large communication app providers to enabled encrypted communications meaning messages sent between devices can only be unencrypted on the intended recipient device and so Whatsapp themselves no longer have access to the content of messages. While users welcomed the encryption move and other popular apps such as Viber moved to follow suit the change has worried and angered some governments who rely on requests to providers such as communications companies to investigate criminal cases. With so many blocks within a short space of time the popularity of Whatsapp while large now could be hurt when users look for alternative methods of communication. Brazil has one of the highest percentages of mobile internet usage and like all countries instant communication has become the norm. If users are unable to communicate as and when they wish they will look to other sources and while many are turning to VPN services to ensure they can use the internet freely others may move to apps that are less in the spotlight. While this may be a temporary solution it is likely to be the case that whatever app is most popular in Brazil will continue to feel the wrath of the ad-hoc Brazilian justice system. For now Brazilian Whatsapp users are safe but for how long will be left to be seen.